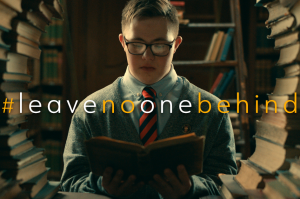 Watch and share World Down Syndrome Day 2019 videos on Down TV – You might even like to make a video of your own! Wear #LotsOfSocks – Whether you wear lots of socks, mismatched socks or your craziest pair, people will ask you about them and you can tell them that you are supporting people with Down syndrome. Share a photo of your socks on social media with the hashtag #LotsOfSocks and encourage your friends to join in too.